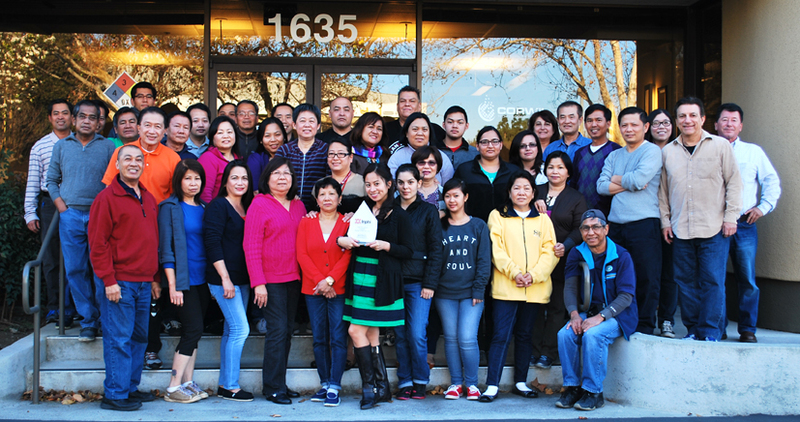 Milpitas, CA, February 4, 2015– CORWIL Technology (CORWIL), the premier US based, IC assembly and test services subcontractor, offering full back-end assembly services starting from wafer sort, thinning & dicing through die-attach, wirebond, package sealing and final test, was awarded ‘Supplier of the Year’ by Inphi Corporation (NYSE: IPHI), a leading provider of high-speed, mixed-signal semiconductor solutions for the communications, data center and computing markets. This prestigious award is given to suppliers in recognition for performance in terms of technology, quality, manufacturing execution, and support. 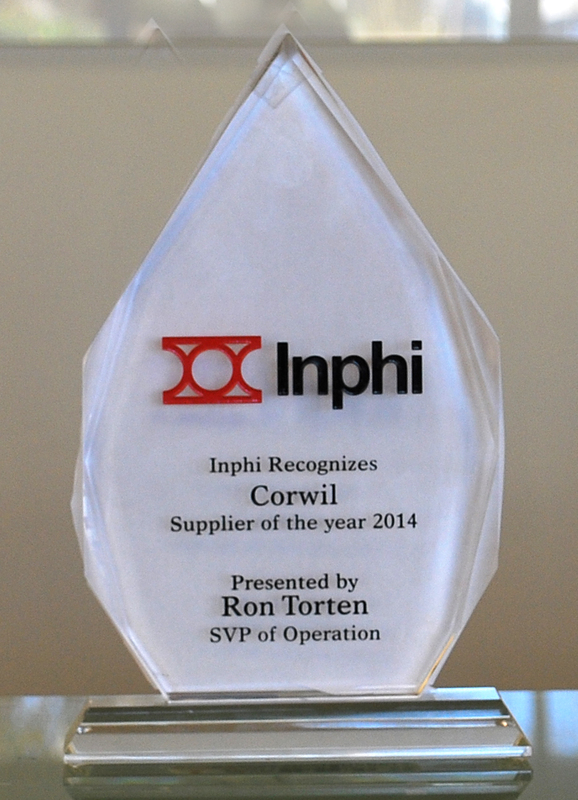 “CORWIL has demonstrated leadership among our suppliers in 2014 through superior execution across these metrics,” said Dr. Ron Torten, Senior Vice President of Operations and IT at Inphi. Inphi Corporation is a leading provider of high-speed, mixed signal semiconductor solutions for the communications, data center and computing markets. Inphi’s end-to-end data transport platform delivers high signal integrity at leading-edge data speeds, addressing performance and bandwidth bottlenecks in networks, from fiber to memory. Inphi’s solutions minimize latency in computing environments and enable the rollout of next-generation communications infrastructure. Inphi’s solutions provide a vital interface between analog signals and digital information in high-performance systems, such as telecommunications transport systems, enterprise networking equipment, enterprise and data center servers, and storage platforms. To learn more about Inphi, visit www.inphi.com.